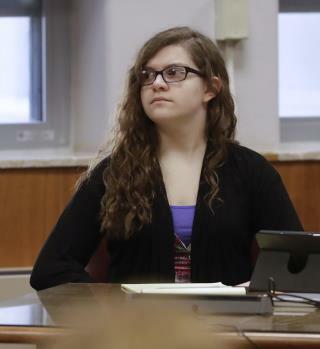 (Newser) – It's been more than three years since Payton Leutner was stabbed 19 times by two friends in a Wisconsin park in the "Slender Man" stabbing, and this week a jury hears testimony to decide if one of her attackers was mentally competent at the time. Opening statements began Tuesday in the case of 15-year-old Anissa Weier, the Milwaukee Journal Sentinel reports. Weier's defense is now tasked with convincing 10 of 16 jurors (12 assigned and four alternates) that Weier was delusional at the time of the May 2014 attack and went after Leutner because Weier feared the internet character Slender Man. Weier has pleaded guilty to attempted second-degree homicide, meaning she admits she took part in the attack; this trial will determine if she can be held criminally responsible, which will impact whether she heads to prison or a mental hospital. I do not think "delusional belief system" may cut the cake well for this first defendant, especially if the jury hears the crime took place in the company of a co-defendant. On the other hand, the diagnosed schizophrenic defendant in her own trial, may stand a better chance at guilty by reason of insanity. See the film, Wisconsin Death Trip.